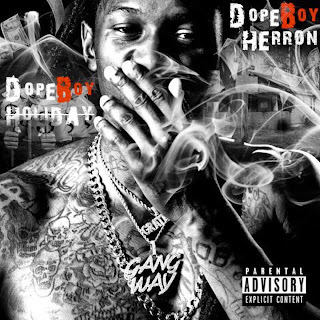 DOPEBOY HOLIDAY is the latest release from North Carolina emcee DOPEBOY HERRON. The new projects has 10 ten dope tracks with features from Fat Trel of MMG (Maybach Music Group) and Lil Baby of QC (Quality Control). Production from 2Tymes, KG, and Peighty80 guarantees every song on the project is a banger. The REAL is BACK! This project is dedicated to all the dopeboy's around the world. Let's celebrate a dope boy's holiday!